We have a difficult time coming to grips with being exposed to even very low concentrations of a chemical that has been released into the environment. Environmental laws reflect that unease by creating and enforcing generic cleanup criteria on the level at which remaining concentrations in soil or groundwater are not expected to cause one additional case of cancer out of a very large assumed population of persons exposed over their lifetimes. EPA and many states and municipalities often utilize an assumed population of 100,000 persons, or even 1,000,000 persons. Stated another way, EPA’s National Contingency Plan provides for an acceptable individual risk range, below which no response activity is necessary, anywhere within the range of 10 to the minus 4 (1 in 10,000) to 10 to the minus 6 (1 in 1,000,000). [i] This means an individual’s risk of contracting cancer from their lifetime of exposure to the chemical is acceptable if it is between 0.001% and 0.0001%, respectively. Compare this to our baseline risk of cancer mortality. The average person has roughly a 30% chance of developing cancer over their lifetime. [ii] And of course we all have a 100% chance of eventual death. In this light, a cleanup criteria protecting against a 1 in a million additional risk really does virtually nothing to reduce our overall cancer risk. A person’s overall cancer risk is still 99.99996% the same as it was before the cleanup. The common law maxim “de minimis non curat lex” tells us that the law cares not for trifles. But in the realm of administrative cleanup criteria law, it does. The purpose of this Article is not to judge whether this is good public policy, but instead to shed light on the assumptions that underlie it, so we know what we are hearing from regulators and how to respond. LLOYD: What do you think the chances are of a girl like you and a guy like me ending up together? LLOYD: Hit me with it! Just give it to me straight – What are my chances? LLOYD (overjoyed): So, you’re telling me there’s a chance. Yesss!! LLOYD (shocked and confused): Husband?! Wait a minute. What was all that one in a million talk? Environmental laws like CERCLA and RCRA, and their state analogues, are intended to be “protective” of human health through reducing “unacceptable” risk of exposure to hazardous substances in soil, water, groundwater, and air. Regulators usually derive cleanup criteria by extrapolating from the concentrations that cause tumors in lab rats and mice, using a straight line “linear” model to hypothesize what concentration in soil or groundwater or indoor air (the dose) over a lifetime of exposure might cause no more than one human cancer (the response) in an assumed exposed population. This assumes that a human being metabolizes a toxin in the same way as a rat or a mouse. Another assumption is that if a substance causes cancers at high doses, a proportionally smaller dose will cause a proportionally smaller number of cancers. In fact, we now know that for many toxins there is a favorable biological response to very low exposures (known as a “hermetic” dose-response). Consider aspirin, which at a high dose causes fatal internal bleeding, but two tablets cure a headache with no ill effects, and many doctors now recommend a daily dose for heart health. The States also argue that the actual risk range selected is not adequately protective. EPA concluded, though, that all levels of exposure within the risk range are protective of human health. EPA has used 10 -4 as an upper bound for establishing risk levels in the past, see 53 Fed.Reg. 51,394, 51,426 (1988), and “[m]any ARARs, which Congress specifically intended be used as cleanup standards at Superfund sites, are set at risk levels less stringent than 10-6,” 55 Fed.Reg. 8717 (1990). The States offer no evidence challenging EPA’s position that 10-4 represents a safe level of exposure, and in any event, we give EPA’s findings on this point significant deference. And yet many individuals, legislators, and regulators prefer the 1 in 1,000,000 or 1 in 100,000 risk threshold for all cleanups, regardless of the exposed population size. This may or may not be what most people really want, so it is important to realize when it is being enforced at a site. It is also important to see that it is not rational when only a small population is at risk of lifetime exposure. Like Jim Carrey’s character Lloyd, when we hear someone say one in a million, we hear what we want to hear, regardless of the actual chances, and regardless of what the cleanup criteria really means. An individual may think, understandably, that it would be unacceptable if he or she became that one person in a million who gets cancer under the hypothetical model estimates of risk, and may want action to eliminate that risk. Mary says “one in a million” and Lloyd hears “there’s a chance.” Love, as they say, is blind. But regulation should not be. Given our baseline 30% lifetime cancer risk, we should recognize that the additional 1 in a million hypothetical risk of cancer posed by the lifetime of exposure to the chemical merely changes an exposed person’s lifetime cancer risk from 30% to 30.000001%. Rounding that to the nearest hundredth, or thousandth, or ten thousandth, leaves the person with the same lifetime cancer risk as before the cleanup. This precautionary approach is pushed beyond reason when the exposed population is only a small fraction of the assumed population. A cleanup criteria based on 1,000,000 people being exposed no longer makes sense in terms of preventing one case of cancer in an exposed population of, say, 100 people. One way to address this, while still maintaining an acceptable individual risk, is to use EPA’s 1 in 10,000 risk range when determining a remedial goal at a small population site. Looking at the numbers and the assumptions underlying the cleanup criteria, if 5 ppb is estimated not to cause one person in an exposed population of 100,000 to contract cancer, then 50 ppb won’t cause a cancer case in 10,000 people, and 500 ppb won’t cause cancer case in 1,000 people, and 5,000 ppb won’t cause a cancer case in 100 people. This follows from the models used by the agencies. EPA has formally stated in numerous documents (eg, the National Contingency Plan for Superfund) that an acceptable individual risk of contracting cancer from exposure to a hazardous substance is between 1/10,000 to 1/1,000,000. To determine whether 1/10,000 is appropriate for individual risk as either a screening criteria or a final cleanup goal, the actual size of the exposed population needs to be taken into account. Where the exposed population is, say, 100 people exposed over a lifetime, then if each person is subject to a 1/10,000 individual risk of cancer from the exposure, then the risk to the 100 person population is 0.0001 times 100, which equals 0.01; i.e., not one person will be expected to contract cancer from the exposure. And this is still conservative because it is unlikely that all 100 persons will stay put and be exposed to the contaminant, at the assumed constant dose, for their entire lives. In such a case, we can and should use a 1/10,000 individual risk threshold (which EPA considers acceptable) because that is not expected to result in even one cancer in the exposed population. There is no rational basis for using 1/100,000 standard, much less 1/1,000,000, as the cancer risk for the cleanup goal under these circumstances. 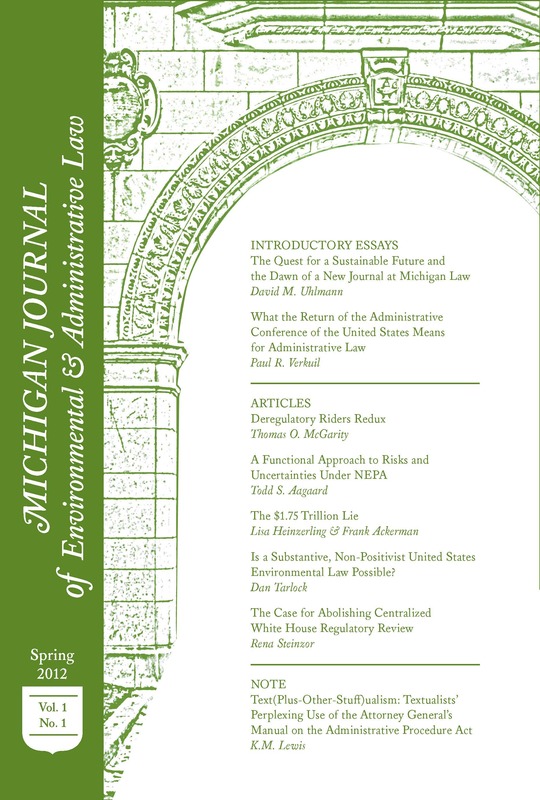 Consider the Michigan cleanup statute, Part 201 of the Natural Resources and Environmental Protection Act, where the Legislature (not the MDEQ) concluded that cleanups should seek a level of residual contamination that will not be expected to cause one additional cancer case to occur in a population of 100,000 individuals. This means we are willing to accept 10 cancer cases in an exposed population of 1,000,000. And it says that we are not willing to accept even one cancer case in a population less than 100,000. But that is all it says. It says nothing about individual cancer risk thresholds. If the exposed population is 100 people, less than one assumed cancer case in the population is still as good as it can get. We can use EPA’s 1/10,000 acceptable individual risk threshold and still not have 1 hypothetical cancer case in the exposed population. Michigan’s 5 ppb generic cleanup criteria for TCE in groundwater (which is based on a 1/100,000 cancer risk threshold) translates to 50 ppb under a 1/10,000 individual risk threshold. As long as we are below 50 ppb in groundwater, each exposed person’s individual lifetime cancer risk is 1/10,000, or 0.00001. If a hundred people are exposed, then that equals 0.01 persons (100 x .0001), which is less than one person. That is, not one person would be expected to develop cancer as a result of the exposure. Approval by the department of remedial action based on the categorical standard in subsection (1)(a) or (b) shall be granted only if the pertinent criteria are satisfied in the affected media. The department shall approve the use of probabilistic or statistical methods or other scientific methods of evaluating environmental data when determining compliance with a pertinent cleanup criterion if the methods are determined by the department to be reliable, scientifically valid, and best represent actual site conditions and exposure potential. (1) The department shall approve numeric or nonnumeric site-specific criteria in a response activity under section 20120a if such criteria, in comparison to generic criteria, better reflect best available information concerning the toxicity or exposure risk posed by the hazardous substance or other factors. (a) Use the algorithms for calculating generic criteria established by rule or propose and use different algorithms. (b) Alter any value, parameter, or assumption used to calculate generic criteria. (c) Take into consideration the depth below the ground surface of contamination, which may reduce the potential for exposure and serve as an exposure barrier. (d) Be based on information related to the specific facility or information of general applicability, including peer-reviewed scientific literature. (e) Use probabilistic methods of calculation. (f) Use nonlinear-threshold-based calculations where scientifically justified. Therefore, it is perfectly reasonable, rational, and lawful in a state like Michigan to utilize a site specific cleanup goal that is 10 times the published cleanup criteria at many, perhaps most, sites, since the actual exposed population is usually orders of magnitude smaller than 100,000 people. The regulated community and their environmental consultants, as well as regulators, should consider making such adjustments where appropriate. Douglas G. McClure is a partner at Conlin, McKenney & Philbrick, PC, in Ann Arbor, MI, a lecturer at University of Michigan Law School, and an adjunct professor at Cooley Law School. [iii] Henry v Dow Chemical Co., 473 Mich. 63, 72-73, 85 (2005).